The system of issuing mobile electronic signature Asan Imza to non-residents has been launched in Azerbaijan. 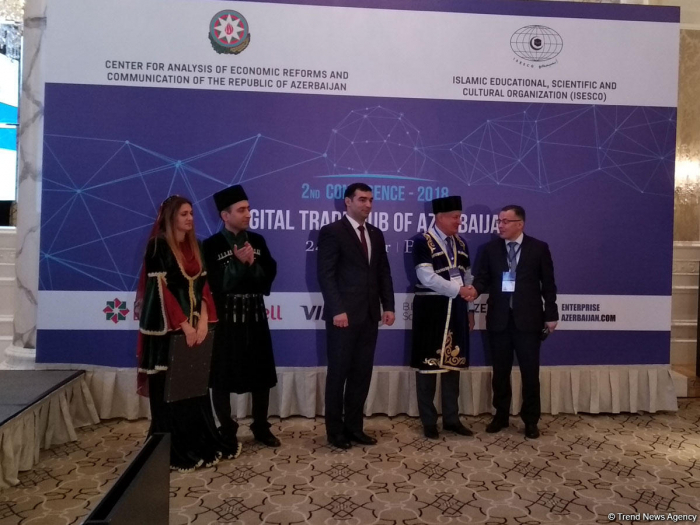 On this occasion, an international conference dedicated to the presentation of the mobile residence program was organized in Baku at the initiative of the Center for Analysis of Economic Reforms and Communications and ISESCO. At the conference, it was stressed that Azerbaijan has become the second country in the world after Estonia, which began issuing e-resident statuses. For the first time in the world, mobile resident status was awarded during the conference. Recipients of the status were the Director General of ISESCO Abdulaziz Othman Altwaijri and Head of the European Union Delegation to the Republic of Azerbaijan Kestutis Jankauskas. The mobile residence has been developed on the basis of the Azerbaijani mobile operator Bakcell's network. Applications by non-residents for obtaining e-signature certificates, as well as e-resident status, are accepted at diplomatic missions and consulates of Azerbaijan. Having received an e-signature, non-residents will be able to carry out the operations they need from outside the country. For example, to conduct operations for registration of an LLC, open bank accounts, certify notarial acts, use the services of the Electronic Government portal, send tax returns, conduct import and export operations, etc. According to the legislation, Azerbaijani citizens residing outside the country for more than 180 days are granted non-resident status.